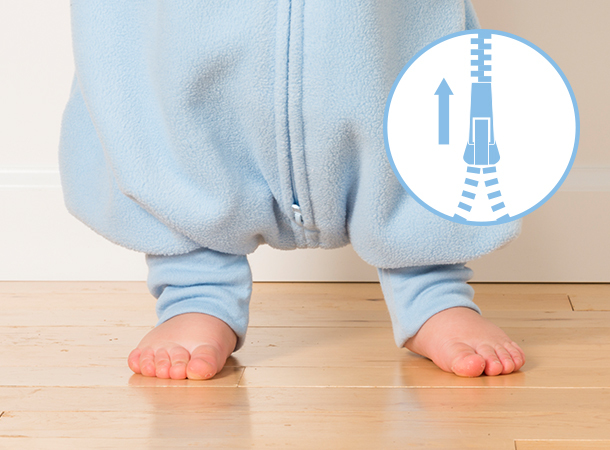 The HALO® SleepSack® early walker replaces loose blankets in the crib. With its unique foot openings, it allows for greater mobility while your little one is awake, but also keeps little feet covered and warm while sleeping. 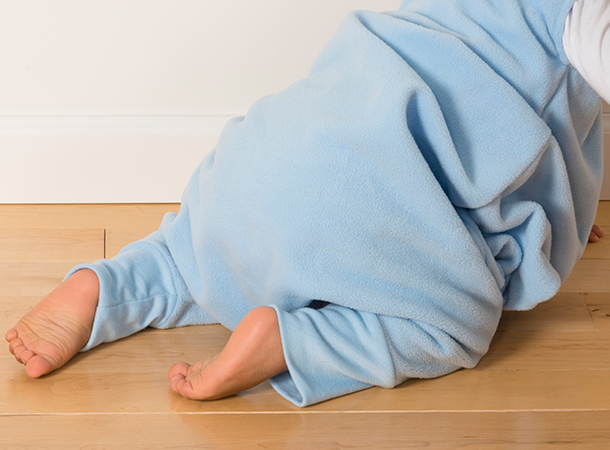 With the HALO SleepSack wearable blanket, your little one sleeps better, too. It is a warm, cuddly blanket he cannot kick off, ensuring your little one sleeps soundly throughout the night. A trusted part of the bedtime routine. We love the SleepSack Early Walker! We have used HALO SleepSack wearable blankets for my daughter since birth. Around 8 months when she began pulling herself up in her crib we noticed it had gotten a little difficult for her to move around in her regular SleepSack. The SleepSack Early Walker was the perfect next step! Great quality and so cozy. Highly recommended! My baby, now 7 months has used HALO SleepSack wearable blankets since birth. She had started to move around her crib much more by 6.5 months after discovering crawling. I found the regular SleepSack too restrictive given her level of movement and her length. The SleepSack Early Walker let her move around the crib, she could play with her feet and it is bigger even in the same size compared to her previous SleepSack. As always they wash like a dream and vomit stains always come out. I love that they dry fast so if accidents happen my cleanup turn around time is fast. Thank you HALO for making an amazing product!! We're so glad we found HALO products. We have been using this type of sleeper for 3 years and love it. Our son who's special needs does not sleep with a blanket. This sleeper gives him the warmth and comfort needed and it's also very well built. The first one we used for 2.5 years straight and washing almost every day or every other day. No rips/tears even the zipper was still working (normally zippers are the first to go) our son grew out of the medium so now he's on the large. We love this product and also have the lighter material for summer. Thank you HALO for making an amazing product!! We'll continue to shop for your products.